This adorable little kid is Cowboy Bebop, a 3-week-old goat who not long ago was in foster care while looking for a family of his own. 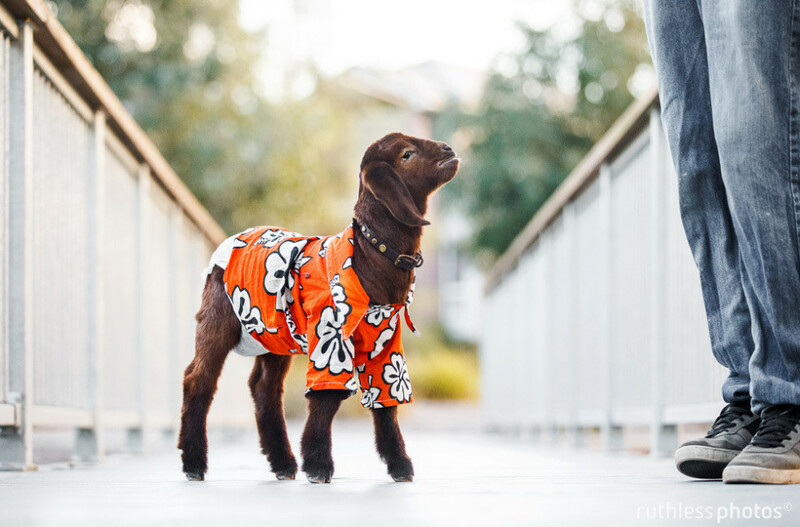 Australian pet photographer Ruth O'Leary jumped at the chance to help Bebop by taking adoption pictures of him wearing a wee Hawaiian shirt, which his foster family put on him for cuteness, and a diaper, which was affixed to his behind because Bebop isn't house broken. "It was equal parts 'Here's a fun project for the afternoon' and 'This goat needs great photos to find a home,'" O'Leary says. It probably goes -- goats? -- without saying that the effort worked. "He was officially adopted within a week of his profile going live," says O'Leary. "He went to live on a hobby farm with a rescue pig and a couple of rescue dogs." Speaking of dogs, which are O'Leary's usual subject matter -- she's a self-described "crazy dog lady," with a minor in being obsessed with cats -- she says there were a few key differences between this shoot and her usual assignments. 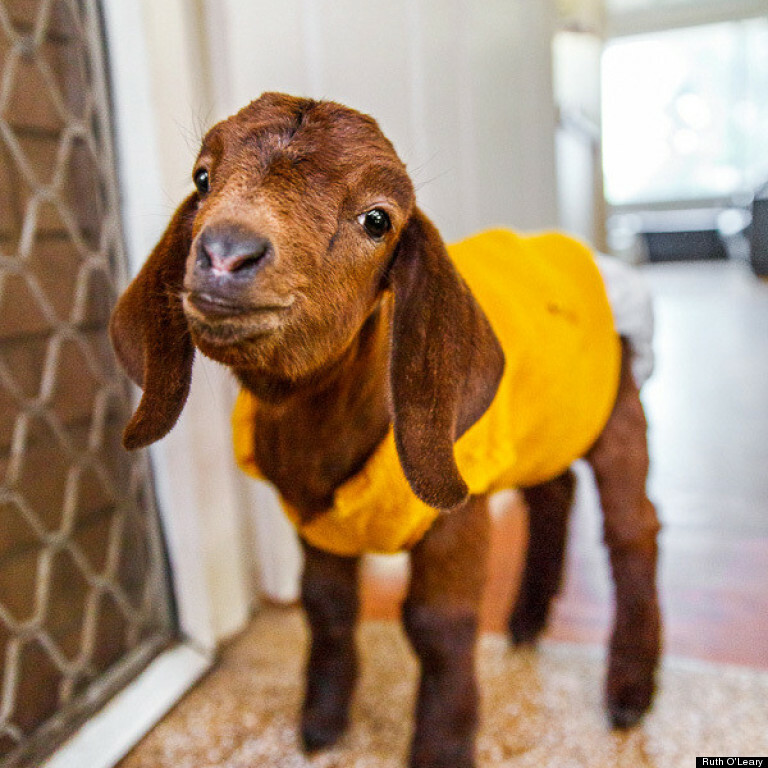 "I had hoped that his session would be like photographing a dog, but he wasn't interested in any of my silly noises and he was still being bottle fed so there were no special goat treats I could lure him with," she says. "I mean I'd love to say he's an average goat and I just made him look awesome, but honestly he's the only goat I've ever met so I don't know how he compares to others in the cute stakes.​"
More of O'Leary's wonderful animal photos are up on her website. And get in touch at arin.greenwood@huffingtonpost.com if you've got a story to share!